On Monday I visited the Dover Rug Company in Natick, Massachusetts for an interview with CEO Mahmud Jafri, who happens to be a very down-to-earth and insightful man. Mahmud is a successful businessman who happens to also be a proud Bostonian, American, Muslim and Pakistani. When I was entering the Dover Rug building, I noticed a painting to the left of the main door. With a sociological lens on my brain I drifted over to the painting for a closer look. I had never seen this painting before so I was a bit puzzled. I wondered if it was placed there by Mahmud and if so, what the painting might say about the man himself. 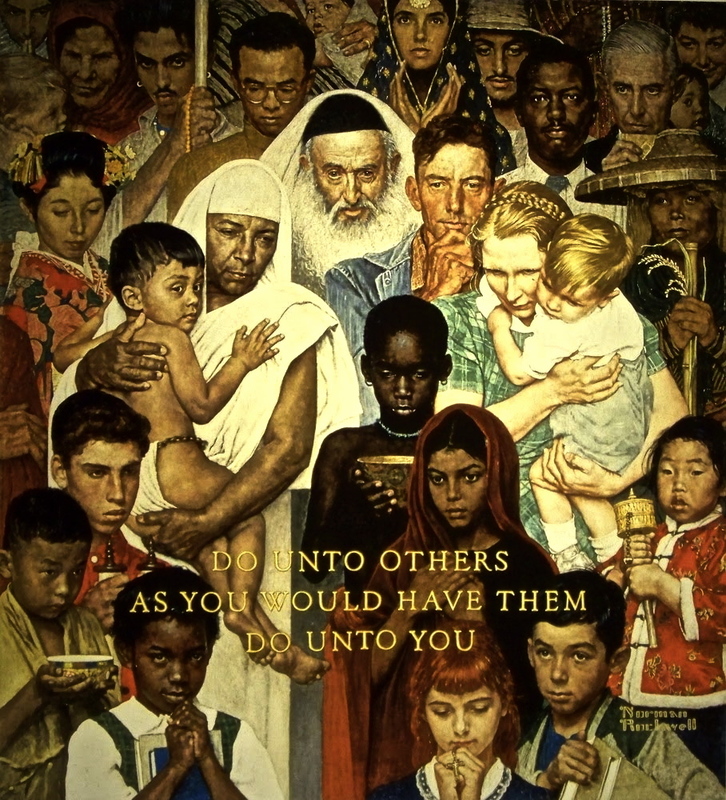 I was visiting [his museum] with my children and I was in the Berkshires… I saw this painting there and I absolutely loved it. I do a fair amount of [interfaith] work here… I’m the former co-chair of the Jewish-Muslim dialogue here in Boston with the American Jewish Committee. Just last Wednesday I was at this interfaith service with the Committee and the American Islamic Congress. Governor Patrick spoke there and there was a reception after. I really think there are plenty of opportunities for us to come together on the majority of the issues. The few differences should not keep us apart… You’re better off being engaged however strong your differences may be as opposed to [divided] and let the differences multiply.